Aimee Barrett-Theron will officiate the Varsity Shield final between NMU and CPUT in Port Elizabeth on Thursday. In doing so, Barrett-Theron will become the first female referee to take charge of a Varsity Shield final. 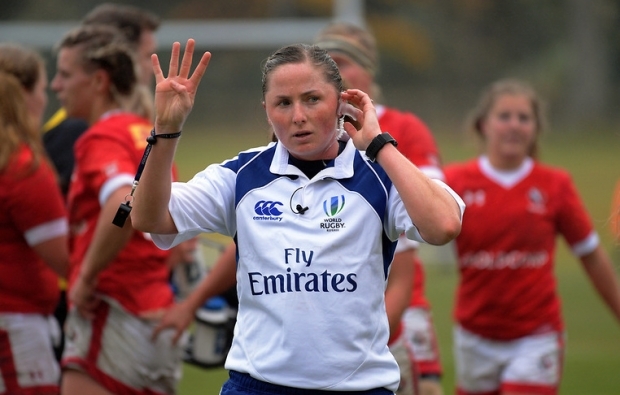 Barrett-Theron has refereed a number of high-profile matches in her career, including at the 2016 Rio Olympics, the Cup quarter-final of the Women’s World Rugby Sevens Series in France 2016, the Varsity Cup, Craven Week, Currie Cup, as well as an international U18 match between England and France. In a previous interview, she commented on how great it was to be noticed as a referee, rather than specifically a female referee. And while her gender didn’t matter as much as her judgement, it did influence how much effort she put in. The Varsity Shield final will kick off at 6:15pm and be broadcast live on SuperSport.